It is a common misconception that the team only covers Moffat hills and local area. 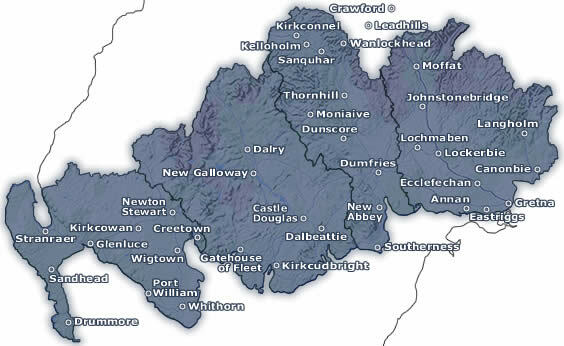 In fact Moffat Mountain Rescue provides rescue cover across the Eastern area of Dumfries and Galloway in South West Scotland, an area of approx 400 kilometres square. This area covers a wide variety of historical and recreational areas including The Moffat and Lowther hills, Criffel, Ae and Mabie Forests; as well as covering the local communities of Moffat to Gretna, Langholm to Sanquhar, and including Dumfries, Lockerbie, Annan, and all of the communities in between. The Team can also be called to assist neighbouring teams in the surrounding area, including Galloway and Cumbria.